Improving the quality and effectiveness of leadership is a constant challenge within companies. Decision-makers strive to improve the company’s productivity, minimize turnover, and retain the best available talent through their leadership skills. Yet countless studies highlight frequently fragile relationships between employees and company leaders. A solution is to develop fully engaged employees-people who give extra effort without being asked. They are more passionate about what they do and more committed to the organization than most. 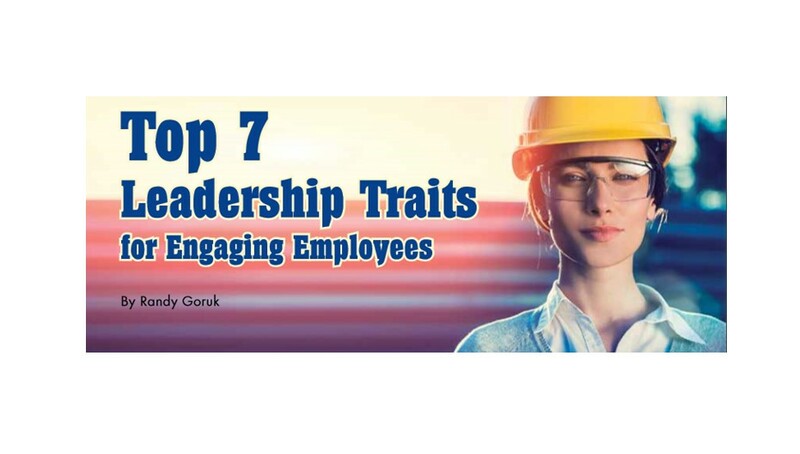 Embrace and develop the leadership traits that engage employees. This calls for numerous actions to develop the leadership traits that lead to greater employee engagement. There are too many to mention here, but in an article published in Modern Contractor Solutions, I explain them fully. Please download it here. 1. Earn respect by showing unwavering character and authenticity. 2. Be a trusted manager and leader by showing you genuinely care. 3. Engage your team through use of stellar communication. 4. Become a problem solver and problem avoider through forward thinking. 5. Hone the discipline of mental toughness. 6. Take responsibility for your own growth and development – and your employees’ too. 7. You must embrace accountability – the outcomes are up to you. Mark Twain once said, “The secret of getting ahead is getting started.” To engage your employees, start by reading this article and implementing just one of these actions today.